Author note: Use as much or little vinaigrette as desired. 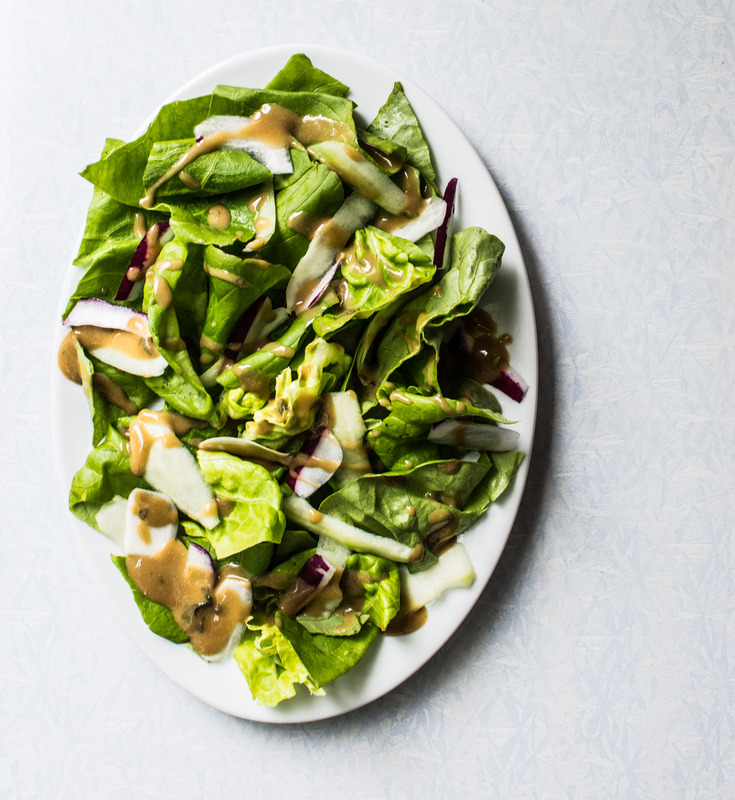 I prefer a sopping wet salad with this vinaigrette because it’s so good. Sometimes I will add thinly sliced radishes and shallots, but most of the time I prefer just the lettuce and cucumbers. Butter lettuce is also referred to as Boston Lettuce of Bibb Lettuce. Rinse the lettuce. With a knife, gently chop into bite sized pieces. Place in a large bowl. With a vegetable peeler, peel the cucumber into thin strips. Then, cut the strips into two inch pieces. Place the cumber pieces into the salad bowl. Pour the Dijon vinaigrette over the salad. Toss and serve immediately. Place all ingredients into a canning jar and seal tightly with the lid. Shake until all ingredients are incorporated. This entry was tagged A Pleasant Little Kitchen butter lettuce, bibb lettuce salad, boston lettuce salad, butter lettuce salad, butter lettuce salad with dijon vinaigrette, dallas food blog, dallas food blogger, texas food blog, texas food blogger, what to make with butter lettuce. Bookmark the permalink.